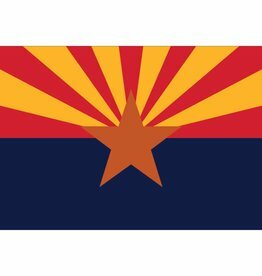 State of Arizona Printed Nylon Flag with Brass Grommets. Available in sizes: 12"x18" up to 6'x10'. 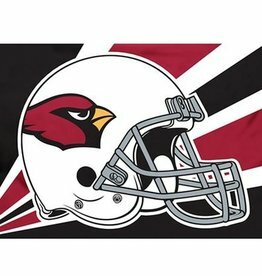 Arizona Cardinals single sided printed polyester flag finished with brass grommets used to attach to flag pole. Available in 3x5.